Anemones can reproduce either asexually or sexually. Each method of reproduction has distinct advantages and disadvantages. With asexual reproduction, the offspring are genetically identical to the original parent. Asexual reproduction allows for larger numbers of individual offspring to be produced more quickly with less energy expenditure as compared to sexual reproduction. 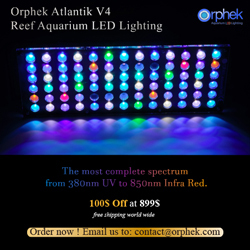 In stable marine environments this is a reliable, efficient and effective means of reproduction. However, this lack of genetic diversity in offspring could collapse an entire population of genetically identical animals if environmental pressures were to swing too far from tolerable conditions. On the other hand, rapid rates of asexual reproduction allows for faster responses to environmental pressures as they are occurring and could raise the rate of survival if individual offspring develop genetic mutations during mitosis. During sexual reproduction, sea anemones release genetic material (gametes) through the oral disk. With many species of sea anemones, genetic material from two or more distinct species are released into the water whereby sperm and egg will connect with the possibility of producing a genetically different and unique offspring from both parents. The genetic differences among multiple offspring increases the probability of survival. One unusual example of sexual reproduction can be observed in Epiactis anemones. Rather than sperm and egg colliding in the ocean current, fertilization takes place internally. Instead of mass spawns of free swimming larvae, Epiactis larvae crawl out of the parent’s oral disk, down the column and sink into small depressions at the base of the parent’s foot where they metamorphosize into juvenile anemones. For the first three months, Epiactis offspring remain in close contact with the parent until it becomes time for them to float away to live on their own. This allows the species to extend its range and improve the chances of species survival. 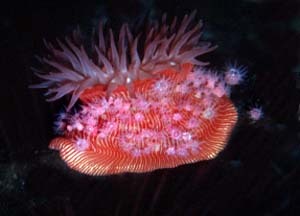 As such, more Epiactis offspring reach adulthood and there is much less stress on the adult anemone due to less reproductive energy expenditure than is required for mass spawning. 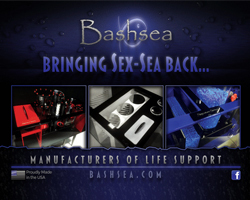 The method of reproduction typically observed by aquarium hobbyists in the tank that we aquarists typically observe in the tank is known as fission, a form of asexually reproduction. Fission or binary fission is when an organism splits into 2 separate individuals. It is believed that when an anemone reaches a certain size the likelihood of fission increases. It is also believed that environmental stressors may increase the chances for fission. 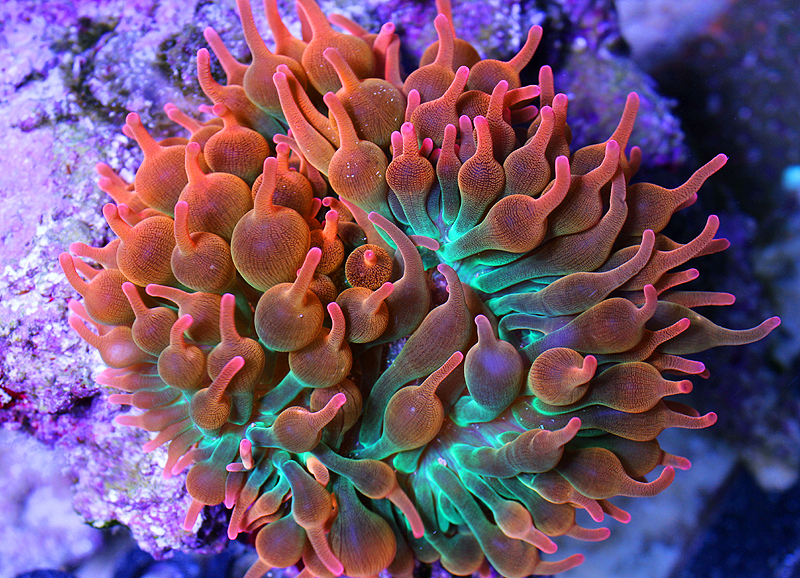 A few years back I had a beautiful rose bubble tip anemone (RTBA) which I had acquired from a local hobbyist. At the time, he was having much success with his anemones dividing. I kept this anemone for over 3 years, during which it grew to size of a large dinner plate and formed two mouths. Unfortunately, fission never occurred before the anemone died of an unknown cause. Many hobbyists have “helped” their anemones split by manually propagating them though “surgery” using a razor blade and cutting the animal in half through the oral disk. This operation can be risky as infections may occur. With care, this method of man made fission may be successfully accomplished. There are even a few how-to videos online if you dare to brave cutting your anemone in half. With the right conditions, both anemone halves should recover fairly quickly. Just remember, the process can be fatal to one or both halves of your anemone so you should never attempt it unless you are willing and prepared for an undesired result.